Seattle International Film Festival once again arrives bringing a spectrum of cinema from across the world! This year like the string of years since 2008, the festival sees a qualitative diversity dip in the percentage of all things foreign cinema, auteur, arthouse, experimental and progressive. These were content agendas that once had prominence within SIFF, making it a festival that approached the per-capita in these areas of Toronto and New York. Those times are now decades in the past. That said, this year's festival isn't as painfully omissive as 2011 or 2010 for that matter. We saw string of years that suggested relief from the lackluster programming described above which waned a bit in 2012 and a further positive trend in that direction in 2013. For the 2014 festival, their 40th Anniversary was celebrated with SIFF's strongest programming in almost a decade, suggesting a renewed vision for the festival. Nonetheless this year, like 2015, we're again seeing that same glut of middle ground contemporary romances and knowingly clever dramas for the sub-Sundance sect. One can speculate that this middle-road approach to programming has been taken to entice some imagined Northwest demographic out of their suburban hobbles and inner-city condos. The inclusion of showcases in the outlying areas of Bellevue, Kirkland and Renton are indicative of such. One can't help but consider these factors alongside the changing economic and cultural landscape of Seattle and what may be SIFF's bid at strengthening financial ties with it all. By way of example, two west coast festivals that have produced smaller, yet significantly more qualitative festivals have established a standard that can clearly be seen from year to year. The San Francisco International Film Festival concluding just this week features not only a diverse body of work, ranging from commercial entertainment to the experimental, embracing both award winning auteur works, genre film and potential indie breakouts. A cross section of the programming can be seen in their selection of new historic documentary by Sergey Loznitsa "The Event" and the superior of last year's two haunting dramas by Kiyoshi Kurosawa "Journey to the Shore". Yorgos Lanthimos Jury Prize winning film "The Lobster", a decidedly "Kafka-esque Meditation on Romance and Estrangement" premiered at Cannes a year ago now and will have a brief run at Sundance Cinema along with Matteo Garrone's adaptation of Giambattista Basile's bawdy Neopolitan "Tale of Tales", adding some "Grown-Up Twists to the Fairy Tale". The festival also hosted what from the outset appears a traditional melodrama by Ryusuke Hamaguchi, "Happy Hour", belies a deeper core deserving of it's Film Comment mention in their Best Cinema from Asia feature. This year's SFIFF also saw Christopher Doyle's "Hong Kong Trilogy" and Lewis Klahr's cinematic archeology of the American unconscious, his "66" employing the unlikeliest of tools in it's telling of mass culture as myth. Happily there is some shared programming between the festivals. 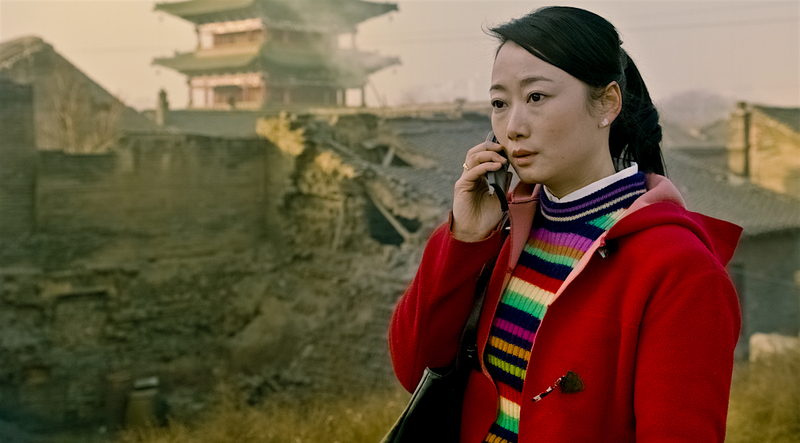 Zhang Yang's most recent "Paths of the Soul", Wener Herzog's much anticipated "Lo and Behold: Reveries of the Connected World" and Vitaly Mansky's documentary on the fashioning of a North Korean family of "model citizens", all grace Seattle as well. Other highlights screening outside of the festival in the coming weeks include the Freudian psychedelia of Eiichi Yamamoto's "Belladonna of Sadness" and another of Naome Kawase's hushed familial melodramas, "Sweet Bean". Screening in SFIFF and outside of the festival at SIFF Cinema, Ben Wheatley's adaptation of JG Ballard's "High-Rise" is ostensibly the most promising thing both festivals share in their programming this month. The Guardian's film of the week review going some way to how it is that the challenges of "High-Rise Takes Dystopian Science Fiction to a New Level". In a fashion, "The Nightmare of JG Ballard's Towering Vision" even proved daunting to the unmade Nicolas Roeg production of the late 1970s. Our neighboring city to the south, though smaller in scale and less urban in some sense, has a strong showing in their Portland International Film Festival again this year. It should be established that with each of them concluding some time before, the content of in each of these festivals was made available to the programming directors at SIFF. They simply made choices otherwise. Which begs the question, what kind of thinking is behind choosing to not program something like the pathos of an Otaku's transformation seen in Masaharu Take's "100 Yen Love"? Or Gabriel Ripstein's Best First Feature award-winner, "600 Miles" from this year's Berlin International Film Festival? Other global festival highlights featured in PIFF, include Jacques Audiard's Palme d'Or winning "Dheepan" and Nanni Moretti's "Mia Madre". With some unexpected surprises like Keiichi Hara's animated period feature, "Miss Hokusai" and another Cannes award winner in Ida Panahandeh's "Nahid". Portland also saw Patricio Guzmán's most recent meditation on the colonization of Chile, "The Pearl Button", festival favorite Hong Sang-Soo's "Right Now, Wrong Then" and Ben Rivers' epic, experimental merging of documentary and fable, "The Sky Trembles and the Earth Is Afraid and the Two Eyes Are Not Brothers". All of which are absent from this year's programming in Seattle. Seattle International Film Festival in the past has existed as a focal point of visionary cinema curatorialship, with the resources, funds and legacy to be a hugely influential institution. From the above one can can adduce San Francisco and Portland producing festivals of a caliber that SIFF has seemingly un-learned as they continue to go astray of the standard of the international festival circuit embodied by New York, Cannes, Toronto, Rotterdam, Vienna, Venice, Berlin and Locarno. But there remain a handful of legitimate, original, well crafted cinema to be found in here too. Largely culled from the Contemporary World Cinema, Archival Presentations, Alternate Cinema, Documentary Films, Midnight Adrenaline, Catalyst, and New Directors sections, this year I found some approximate 20 or so films of interest, curiosity or gravitas that I plan to attend. These run the spectrum from directors of note, archival restorations and new developing artists. As a consequence the majority of the titles listed below are simply films of curiosity, rather than considered essential viewing. Not the least compelling year in recent memory, but not approaching the par established with SIFF's own stellar run spanning the decades of 1987-2007. It must also be said, this year's SIFFX sidebar does little in the way of compensating for these programming oversights. Nonetheless, I continue to be enthused about their home at the SIFF Cinema Uptown and expanded screens between the recently acquired SIFF Cinema Egyptian and Film Center. Their curation for these year-round venues has exhibited the scope of SIFF, with this year's Recent Raves series exemplifying a visionary path forward for the institution. Unfortunately the 42nd Seattle International Film Festival doesn't continue this high standard. 7:00 PM - Ben Wheatley "High-Rise"
4:00 PM - Terence Davies "Sunset Song"
6:00 PM - Hirokazu Kore-eda "Our Little Sister"
4:00 PM - Eiichi Yamamoto "Belladonna of Sadness"
6:30 PM - James Schamus "Indignation"
9:00 PM - Mauro Herce "Dead Slow Ahead"
1:30 PM - Douglas Sirk "A Scandal in Paris"
9:00 PM - Bence Fliegauf "Lily Lane"
3:30 PM - Yaelle Kayam "Mountain"
7:50 PM - Matteo Garrone "Tale of Tales"
7:00 PM - Orson Welles "Chimes at Midnight"
6:00 PM - Helen Walsh "The Violators"
3:00 PM - Shunji Iwai "A Bride for Rip Van Winkle"
9:30 PM - Marcin Wrona "Demon"
4:00 PM - Zhang Yang "Paths of the Soul"
9:00 PM - Marta Minorowicz "Zud"
11:00 AM - Ernst Lubitsch "Heaven Can Wait"
3:30 PM - Ti West "In a Valley of Violence"
9:30 PM - Lucile Hadžihalilović "Evolution"
7:10 PM - Yorgos Lanthimos "The Lobster"
6:00 PM - Naotaro Endo "Tsukiji Wonderland"
9:15 PM - Vitaly Mansky "Under the Sun"
8:15 PM - Naome Kawase "Sweet Bean"
9:30 PM - Jaco Van Dormael "The Brand New Testament"
2:00 PM - Fernando Ayala "The Bitter Stems"
8:00 PM - Werner Herzog "Lo and Behold, Reveries of the Connected World"
2:30 PM - Ferdinando Cito Filomarino "Antonia"
8:30 PM - Małgorzata Szumowska "Body"
7:00 PM - Sylvia Chang "Murmur of the Hearts"
9:30 PM - José Luis Guerin "The Academy of Muses"
9:30 PM - Sion Sono "Tag"
7:00 PM - King Hu "Dragon Inn"
3:00 PM - Jia Zhang-ke "Mountains May Depart"
7:00 PM - André Téchiné and Céline Sciamma "Being 17"
7:00 PM - Mark Cousins "I am Belfast"
8:45 PM - Kiyoshi Kurosawa "Creepy"
4:30 PM - Gilles Legrand "The Scent of Mandarin"